MLiS MLB-Z4001 is an Ethernet to 900 MHz RF modem designed for Ethernet communication via any readily available ZigBee network. Overall, it offers a more cost effective and time to market solution for bridging remote machine to machine over diverse locations without first having to invest and engineer a huge complex network. MLB-Z4001 modem uses the RJ45 connector to provide data communication interface and the DC jack to provide power input. LEDs are used to indicate the status of the terminal. MLB-Z4001 is taking advantage of the specific Mesh networking protocol, featuring dense network operation and supporting for sleeping routers, and are also available in a proprietary point-to-multipoint configuration. 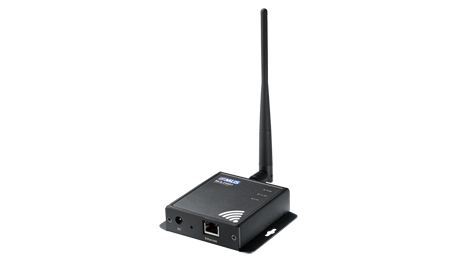 MLB-Z4001 modem can be used to provide wireless communication link for many applications, including warehouse, building automation, and street light applications.